Went to check out a place down the street from me with all this heat because of little desire to cook. 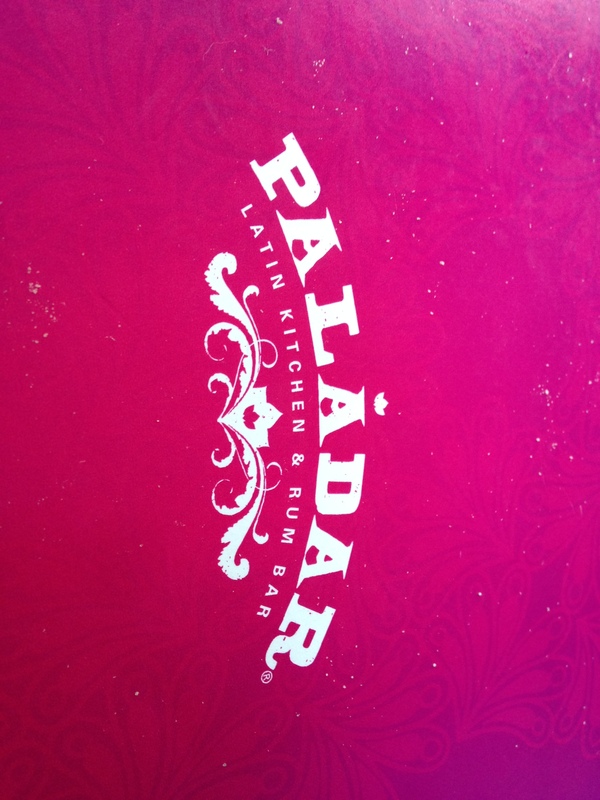 It’s Paladar, in the DC-area, and I’d been there once right when they opened so it was packed. Was looking forward to checking it out again. It’s a Latin restaurant which means some of their drinks are perfect for a hot evening. 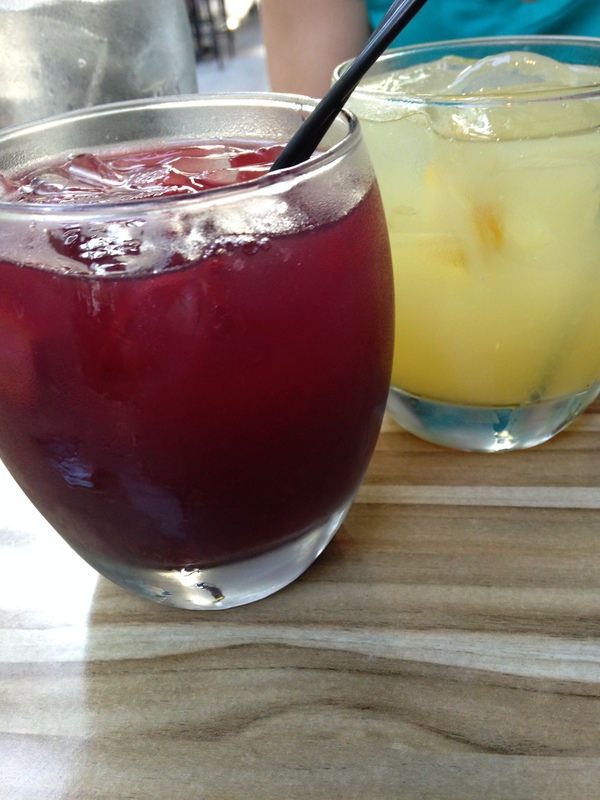 My friend and I both opted for Sangria — one of us red, one of us white. These things went down way too easily!! For some food, we grabbed the neccesary guac then went with ceviche. 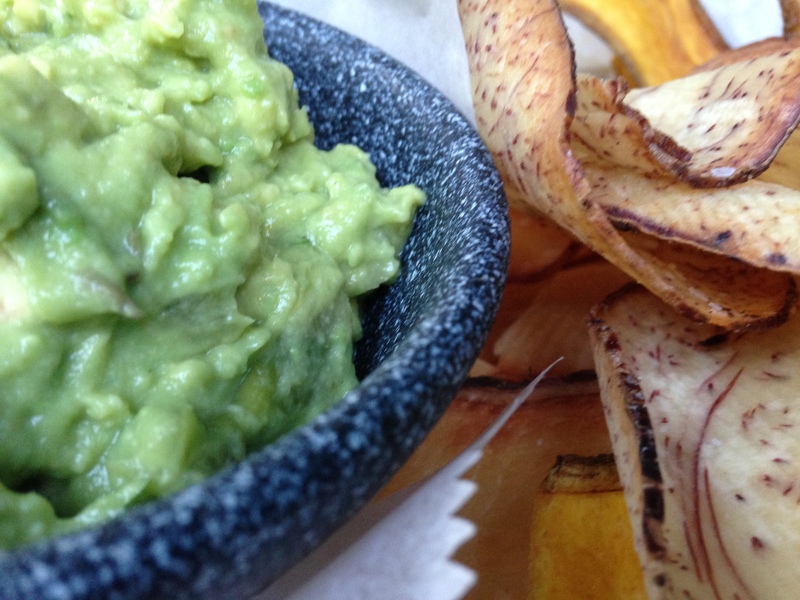 The guac is served with yucca, plaintain, malanga and ‘regular’ chips. They have unique ceviche options! 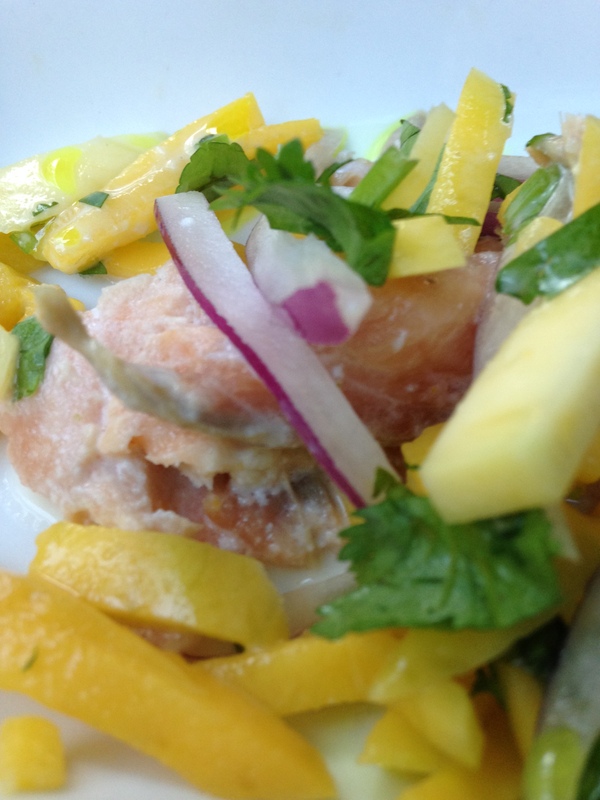 I opted for Salmon & Mango, which was thinly sliced salmon, fresh mango and red onion tossed in sweet and tangy coconut ginger marinade. Very nice balance between all the flavors. 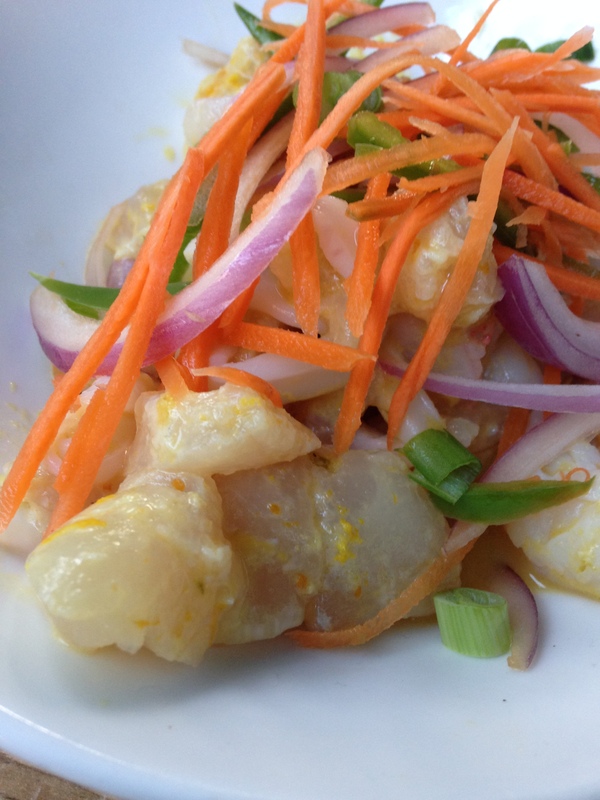 The other ceviche at the table was the Mixed Seafood one, with a great blend of fresh snapper, calamari, and shrimp tossed in sweet and tangy broth made with lemon, lime & orange juices, aji peppers, and celery, topped with fresno peppers, carrots and onion. Nice flavors all around. A place worth checking out for drinks and/or dinner, definitely on a hot summer night. This entry was posted in restaurant and tagged ceviche, chips, DC, dinner, guacamole, paladar, restaurant, Sangria, washington. Bookmark the permalink.